After realizing that there is nothing in my closet besides shorts, flip flops, and tanks, it made me realize that you need to be prepared for the craziness of Tampa weather. Here are 5 recommended pieces you should keep in your closet for the chilly days in Florida. As the cold weather comes and goes, swap out the flip-flops with boots. 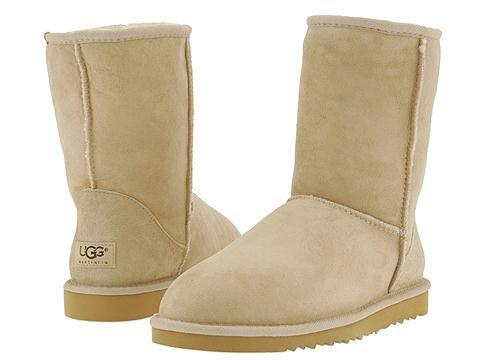 They can be fashionable riding boots or those comfy UGG's we all love. Whether you use this accessory as a fashion statement or to keep you warm, it’s an essential piece that you should include in your wardrobe. One of the most comfiest and fashionable pieces to have, to go with either jeans or leggings. Trade the active wear jackets in for military jackets as your new option for a cover up. This is one of the fall trends, which is seen in various colors this season. The top colors currently on the market are army green, burgundy, and charcoal grey. These are great to pair with leggings on those cool days. Try to find sweaters with accents of faux leather to rev up your look.